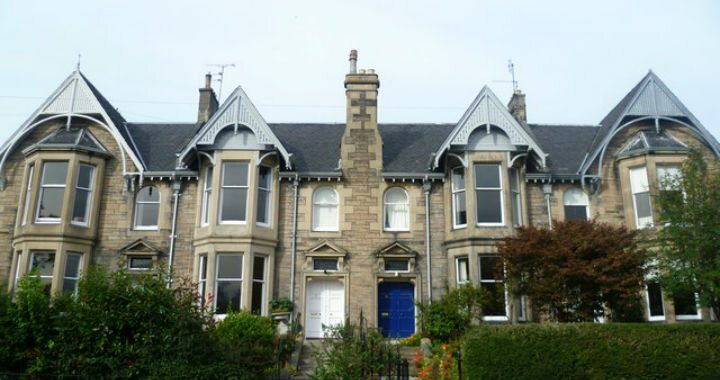 Owning a period property can be a dream come true for many. 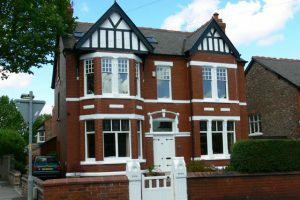 Old features such as beams, intricate bannisters and staircases, exposed brickwork, open fireplaces and sash windows are characteristics that add to the charm of owning this sort of home. 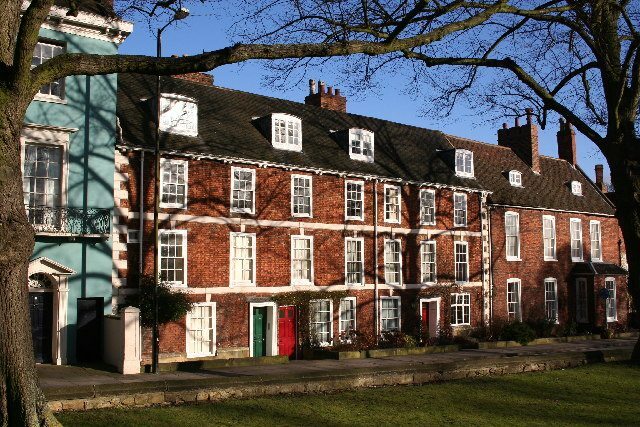 Period properties are often Listed Buildings or in Conservation Areas and are usually more expensive to purchase and maintain than newer builds; but for many the original features and architectural detail are well worth the higher price tag. With period property ownership comes great responsibility. Buildings and structures that are centuries old deserve and indeed require a good deal of love, care, time, effort, money and specialist work in order to preserve them now, and for future generations. Victorian properties may still have old consumer units and no earth wires to the lights or sockets. You may also notice that there is only one plug socket in each room. Employ the services of a good electrician to assess the state of your electrics – as a guide, you’re probably looking at approx. £3500 for a rewire. Lead water pipes are commonly found in older properties. Over time, the health risks of exposure to lead have been discovered which resulted in its use in domestic plumbing being banned in 1970. Older houses where domestic plumbing includes lead pipe work pose a greater risk for ingesting lead from their water taps. The only way to ensure that your drinking water is lead-free is to replace the original pipe work in your period property. On the plus side, lead has a high scrappage value so the price you get for your old lead pipes can offset the cost of replacing them. Until the mid-twentieth century solid fuel fires would have been commonplace in domestic property. A sufficient fresh air supply was needed for the fuel to burn, which was drawn from gaps around the windows and doors. This circulation of air helped remove damp from the building. Many older properties now have modern central heating systems installed which has a better distribution of heat but not ventilation. The gaps around doors and windows are usually sealed up and chimneys blocked up to prevent cold draughts. Kitchens, bathrooms and showers generate more water vapour than ever before resulting in the vapour looking for somewhere cold to escape and turn back into liquid, usually the walls. Water lodged in bricks and stones can gradually destroy them by the repeated action of water vapours freezing and expanding. Water in the timbers of an old house can mean decay because it makes the wood attractive to rot and fungi. A silicone damp proof course could be advisory but approach with care and do your research – there are many cowboy companies offering this service and many people, professionals and the public, even believe the whole idea of damp proof coursing is a myth. Draughty Sash Windows – our speciality area! At joineryworkshop.com know a thing or two about sash, casement and other styles of period property windows, and how to restore or replace them accurately. If it’s replacement windows you need, we can create exact replicas of your original units, and even fit them with double glazing. The result is beautiful traditional windows, in their original style, but with the benefit of better insulation (and reduced energy bills) and noise reduction. Similarly, we can help with original doors which may suffer from a lot of swelling and shrinking throughout the year as the seasons change. Again exact, bespoke replicas can be made to your specification. 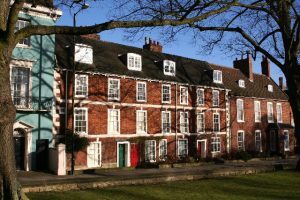 As touched on above, may older properties are Listed Buildings or situated within Conservation Areas and are protected by strict planning laws. Proper permissions must be granted before any work can begin and we’re pleased to be able to help our customers with the correct paperwork for this process. In many Victorian homes, the ceilings are made of thick lath and plaster. If this loses its bond, which is likely in what could be 200 years since its construction, it is in danger of collapsing. The roof is easily accessible and can be fixed without too much fuss, but ceilings on the floors below can be considerably harder to access. A simple gentle press on the ceiling can determine its integrity. If it moves, it could spell trouble. A telltale sign of a weakened ceiling are cracks. Do not ignore them, or paper over them – they won’t just go away and will worsen over time. Nailing plasterboard in is one solution but you must ensure the nails are large enough or the ceiling could still come down, and it will now be even heavier! If you have a ‘live’ ceiling (if it moves when gently pushed) it should be replaced. This can be a difficult decision if you have original cornices or roses that you want to preserve. You can find specialists who can create high quality replicas, much like we offer with sash windows. 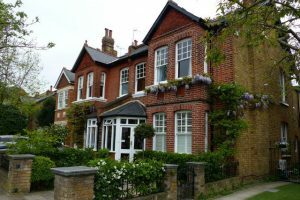 Older properties have the reputation of being money drainers, especially when it comes to maintenance costs and utility bills. Some Victorian property owners complain of extortionate energy bills in excess of £200 per month! A long term money saving solution is to install a central heating system. Your energy bills will be reduced, but you’re looking at an initial outlay of £3000 for a decent combi boiler and radiators. Replacing the loft insulation is a simple and cheap way of improving the energy efficiency of your home and keeping your heating bills down. Many energy companies offer a discount to insulate the loft and even sell the insulation rolls for as little as £3 each. Consider fitting wood burning stoves into the original fireplaces to help reduce energy costs in the winter. Even if you have a modern central heating system installed, you can save money by turning down the thermostat or only having it on in selected areas and times whilst using the wood burning stoves to heat the rooms you spend most time in. If you decide to keep the original wooden floors, make sure you fill in all the gaps to avoid chilly draughts, particularly in the winter, which can significantly bump up energy bills. Also check for dry rot, wet rot and woodworm. Vents under the house must be clear to allow air to circulate properly. If the floor bounces and/or squeaks underfoot the joist maybe rotten. We would advise carrying out thorough searches of the property, after you have had the survey back, to get a better picture of the state of the property ahead of purchase. You can also request a modern history of completed works on the house to help assess areas that may need attention first. Despite the added costs and responsibility, owning a period property is a unique and hugely fulfilling opportunity. Many owners of older houses wouldn’t dream of living in a new-build or modern property, claiming them to be charmless, mundane and ordinary. So long as you’ve got the time, dedication and means to responsibly look after a period property, we believe it is one of the best purchases you could make. If you’ve recently bought a period property and would like a quote or just some friendly advice about the condition of your period property windows Bristol, whether they are sash windows or casement windows, please get in touch with the bespoke joiners at joineryworkshop.com. Call us on 0117 230 2828 or email enquiry@joineryworkshop.com. You can also complete the simple Request a Survey / Call Me Back form on our website.